World Markets have become increasingly globalised. To a large extent, this reflects the fact that all countries are adjusting to strong liberalization pressures derived from international trade policies which have a common objective to open up new trading opportunities and integrate countries into global economy. The Seminar you are about to delve into looks at issues relating to Logistics and Supply Chain Management. Provides a general explanation of the impact of logistics, which will help the participant to understand some issues involved when applying logistics system. Relates the logistical functions such as purchasing, manufacturing, physical distribution and marketing management with logistical channel. • Defining forwarders as principal or agent? SEMINAR FEE: Pay in full 5 days before the seminar and avail our early bird rate of Php 2,700 per head (Regular rate: Php 3,000 per head) which will comprise meals during the training, handouts and all necessary materials. We are also offering in-house training and seminars depending on the need of the companies. i. Pay in full 5 days before the seminar and avail our early bird rate of Php 2,700.00 only. ii. Payments on the day of the seminar must be on a cash basis only. Payments made through Checks can only be made through company checks. Personal checks can be accepted provided that it is an advance payment. iii. Walk-in participants shall pay the regular rate either by cash or check provided that the check is under a BDO account and payable to iLearn professional Solutions Inc. and that the same was declared good. iv. Senior /students and/or person with a disability is given a special privilege of a 20% discount. On-site payment of the students shall be entitled to a 10% discount. vi. Proof of payments (original deposit slip) shall be required for presentation on the day of the schedule. IMPORTANT: All training payments are NON Refundable but transferable to other training. 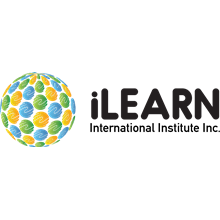 iLearn reserves the right to cancel programs which do not meet the required minimum number of participants; in which case, either the programs may be merged or be transferred to a different location and the program with a lower number of participants will be canceled. Due notice of cancellation /merger of programs will be given to those who have already paid and registered via email or call. In this regard, please ensure to indicate your contact numbers, email address for proper notification. You've successfully shared Logistic and Beyond Transportation. An error occurred while sharing Logistic and Beyond Transportation. Please try again.